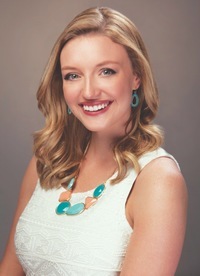 As our magazine comes to an end, Kasie Smith, president and publisher, and Jennifer Reeves, sales director, want to take a look back at all of the wonderful memories the Miss America Organization, the Miss America's Outstanding Teen Organization, and all of our readers have given them through the nine years of publication. Thomas "Thom" J. McGarvey Jr., for three decades the executive director of the Miss Hawaii Pageant, died January 8 at the Craigside Assisted Living Facility in Nuuanu. He was 70. After nine years of publishing the No. 1 resource for everything Miss America and MAOTeen, we’re closing a chapter in our book. 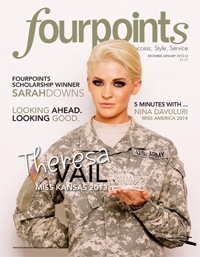 The February/March 2014 issue will be the last and final fourpoints magazine. It’s a bittersweet ending for us, as we have a strong passion for the Miss America Organization and for the contestants, directors, and volunteers that make it so great. 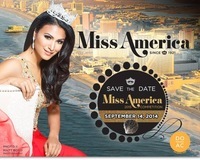 Today, Miss America Organization’s Chairman and CEO, Sam Haskell, Miss America 2014 Nina Davuluri and newly elected Mayor of Atlantic City, Don Guardian announced the date of the world’s most famous scholarship competition for young women in its New Jersey birthplace, Atlantic City. Haskell announced the date for the beloved competition will be Sunday, September 14, 2014, live on ABC at 9 PM EST. The official announcement was made with Casino Reinvestment Development Authority’s (CRDA) Executive Director, John Palmieri, the Atlantic City Alliance's (ACA) President, Liza Cartmell, and Miss America Organization’s President, Sharon Pearce. The Miss America and Miss America’s Outstanding Teen organizations awarded $7,000 and $5,000 respectively, in preliminary competition scholarships in 2013. Contestants performed their talents, showcased their health and fitness, and proved their poise and stateliness. And for their representation of each phase of competition, judges’ panels scored young women who now carry on in their academic studies with the promise of funding. But performances in Atlantic City and Orlando were far from improvised, and those contestants who were awarded are willing to share their secrets for preliminary scholarship success. Many Miss America’s Outstanding Teen state titleholders join together to form the AOT Sorority, an exclusive group of former national competitors whose wish it is to continue supporting and giving back to an organization that has meant and done so much for them. Sorority sister and Miss Pennsylvania’s Outstanding Teen 2006 Tawni Darby promises there’s no hazing going on in the AOT Sorority—just fun! What does it mean to be a member of the AOT Sorority? The purpose of the sorority is to get former titleholders involved in the organization again—to get the girls to come back to the national pageant and volunteer, whether it be with Teens in Training Camp, photo shoots, and so on. It’s designed as a way to give back and keep in touch. This year, we created a private Facebook group. It’s so easy to lose touch, but as soon as the group was started, girls were able to reconnect and found they have so many mutual connections—especially with so many former teens going on to win at their Miss competitions. It’s a good way to give back to an organization that has given so much. Does the sorority host any events throughout the year? I was so excited for the luncheon we held at MAOTeen this year. There were a lot of formers in town for the national competition. It was great, because many of the girls I competed with seven years ago are now married or getting their Ph.D.s, but we’re all spread out. It was nice to have a structured way to reconnect. When we got together to talk about our experiences, that’s when the brainstorming could start. And there’s something we share that no one else can understand. After competition, we go home and try to explain our experiences to friends and family. But there are inside things we experience just by being here—like Pam, the choreographer who has been here since the beginning and her mannerisms, or the crazy stagehand backstage who’s always making jokes. We really have formed a sorority-like bond. What is the long-term benefit of being a member of the AOT Sorority? This sorority helps reconnect girls who have gone through the organization. These girls are doing incredible things, and it’s amazing to see how much our lives can intertwine. We have a great talent pool, and sorority sisters can take advantage of that by networking—that’s how I got my internship with MAOTeen. This whole organization was born out of people connecting and utilizing talents and leadership. They’re people who probably wouldn’t have come together otherwise. That’s what we are doing with the sorority. We need the talents and abilities of former titleholders to build our team, and it’s important in an organization like this that is primarily run by volunteers. And that’s why it’s also important to stay connected. I believe that the formers are going to be the future of the organization. One could be the next president, or just a volunteer. Who can be a member of the AOT Sorority, and how can they sign up? Any former Outstanding Teen state titleholder that has competed at nationals since 2005 can join. We started small with girls from just a few different classes, but now we are more spread out. Ideally it would be amazing to have one or two girls from every state and every year. Learn more about AOT Sorority membership at www.maoteen.org. Miss America's Outstanding Teen Leah Sykes was on the road in November. Here is a glimpse into her month. 'Tis the season to be busy, and Miss America 2014 Nina Davuluri is in the midst of a packed schedule of holiday events! On Tuesday, November 26, the holiday festivities continued as Nina had the honor of flipping the magical switch at the Tree Lighting Celebration at the beautiful New York Palace Hotel. The majestic celebration symbolized the start of the holiday season as the lights transformed the Palace Hotel into a royal event in New York City! 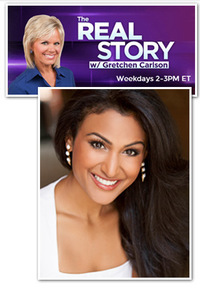 Wednesday, Nina joined Gretchen Carlson, Miss America 1989 and host of The Real Story with Gretchen Carlson. Nina was featured on "The Power Panel," where she discussed a variety of current events and promoted the Miss America Scholarship Program. Nina celebrated then Thanksgiving on Thursday, as she rode on a patriotic float in the 87th Macy's Thanksgiving Day Parade! Click here for photos and updates from the Miss America Organization Facebook, Twitter, and Instagram! Miss America 2014 Nina Davuluri joined the New York City Rescue Mission Monday, where she served as the honorary host of its annual Great Thanksgiving Banquet. The New York Homecoming Celebration for Miss America 2014 Nina Davuluri began Friday night in Manhattan, with a New York City welcome reception honoring the first Miss America of Indian decent. The event also featured the coronation of Amanda Mason, who was crowned Miss New York 2013.